Wait until you receive email confirmation that your alias has been created. 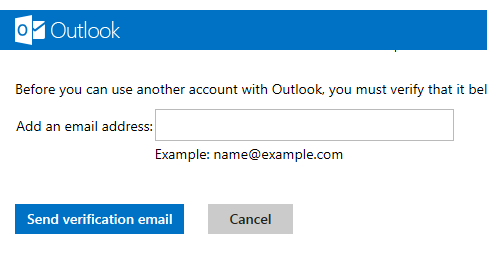 Log out and log back into Outlook.com to make sure it picks up the new alias. Go back into the More mail settings again and this time select Sending/receiving email from other accounts. Select the Add another account to send email from option. Wait for the verification email to arrive. When it does click on the link to verify the Outlook.com address. Go back into the More mail settings once more and again choose Sending/receiving email from other accounts. 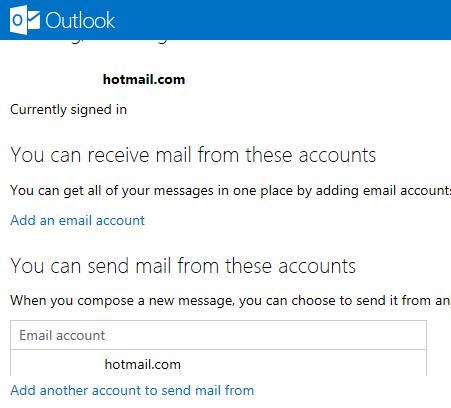 This time you should see your new outlook.com account listed under the ‘You can send mail from these accounts’ section. You then just need to select the Use as default option next to your Outlook.com alias. 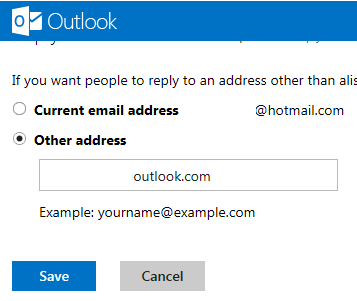 The last thing I have done, under More mail settings, is change the Reply-to address option and set that to ‘Other address’ using the new Outlook.com alias. Now when I compose an email it automatically uses the new Outlook.com email alias. This entry was posted in Metro by Alistair Hunt. Bookmark the permalink.